Gowrie at 63-65 Gowrie Street, Glenroy, was erected in 1855 for James Robertson on part of a crown pre-emptive right acquired in 1848 by Scottish immigrant pastoralists, James Robertson and cousin Alexander Gibb, and subsequently divided c.1850 into two homestead runs. 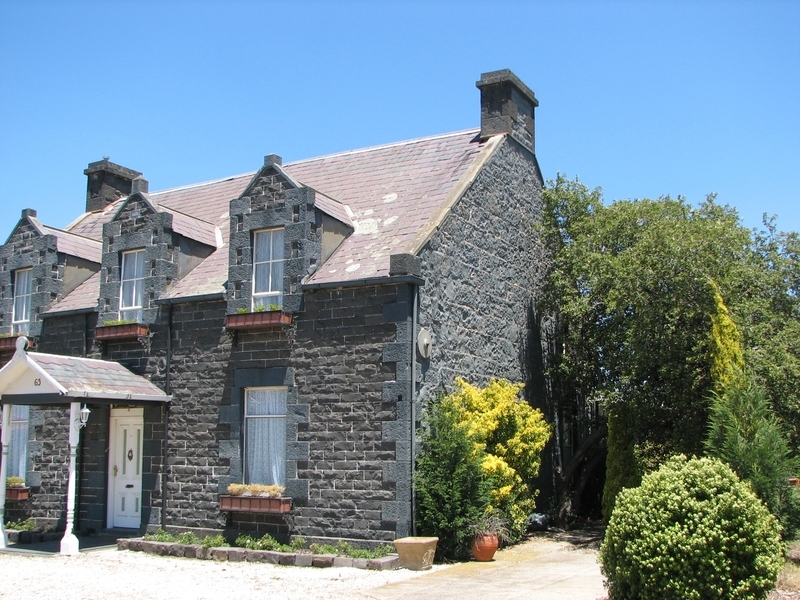 The one and half storey basalt house is constructed with slate roof, prominent gable dormers and dressed stonework quoins and copings in the style of Scottish farmhouse vernacular. 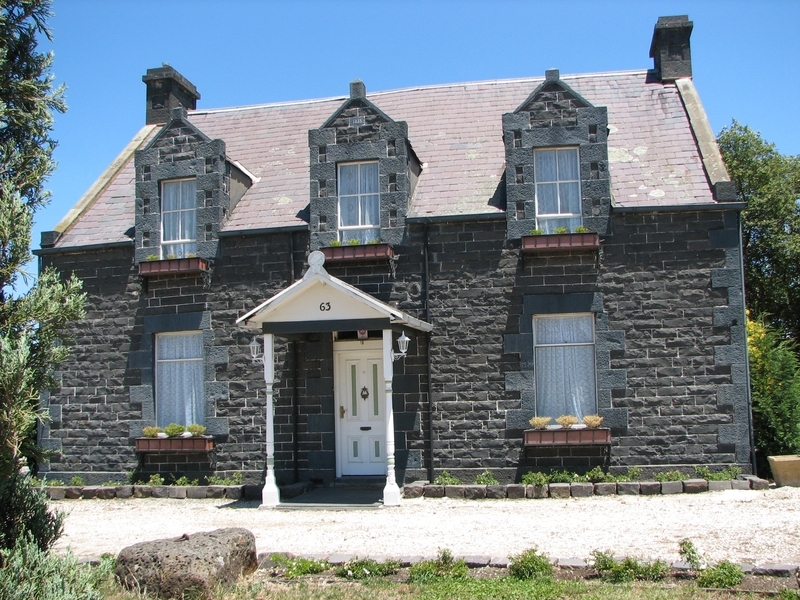 Gowrie is one of the oldest surviving houses in the Broadmeadows district and is of architectural importance as a relatively rare and externally intact example of a traditional Scottish laird's house translated into the Australian context. The building is an early homestead of noted pastoralist James Robertson and is closely related to the earlier constructed and similarly styled 'Meadowbank' (now 'the Manor', Campbellfield) located on the northern section of the divided pre-emptive right. Gowrie has been extensively renovated internally and the original outbuildings and stables demolished to facilitate the erection of flats adjoining the rear of the house. 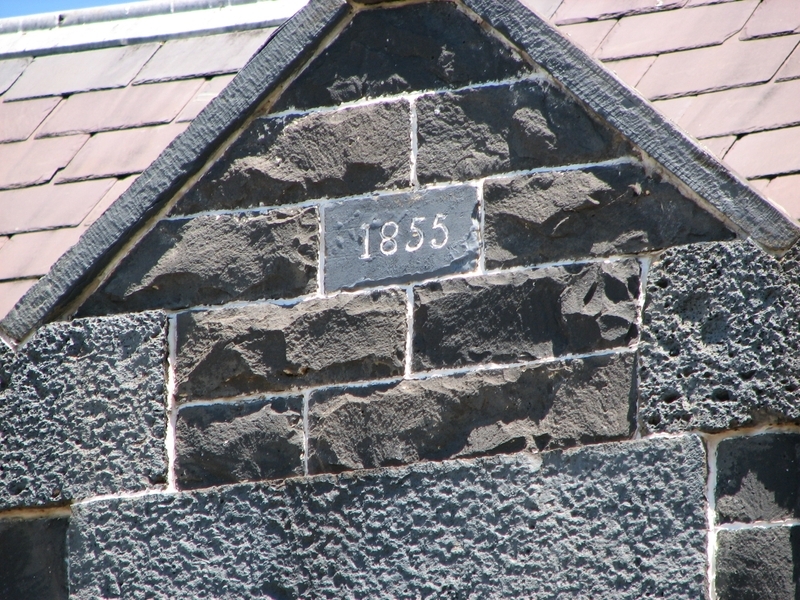 The exterior is essentially in original condition, complete with '1855' foundation stone. City of Broadmeadows. No. 128. Gowrie, 63-65 GowrieStreet, Glenroy.